Drive can transform the way you share documents, email files, collect web content, and more. You may love it for its free productivity suite, but Google Drive is first and foremost a cloud storage service. As the nexus of Google’s other services, its 15GB of free space can be leveraged to improve almost any productivity task. Here are a few ways you can maximize your Drive. If you’re reading this, you’re probably already using Google Drive as your go-to storage option. You can streamline this process by making it the default save location for all your documents on your PC. In Windows, right-click on your Documents folder and select Properties. Click Include a folder, then locate your Google Drive folder. Highlight it, select Set save location, and click Apply. Next time you save a Google or Microsoft file, it will save to Drive. The ability to insert Google Drive files into your Gmail messages provides a few significant advantages over uploading files as attachments from your hard drive. First, it allows you to email larger files. Gmail caps file attachments from your computer at 25MB. But if you insert a file direct from Google Drive, you can send a file up to 15GB—and up to 1TB if you have a paid plan. 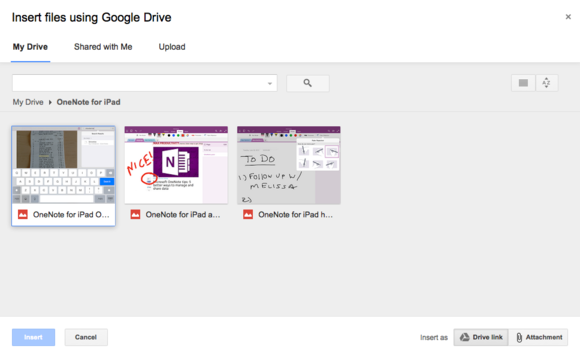 You can insert Drive files into your Gmail messages as an attachment or a link. Inserting Drive files also makes collaboration more efficient. Normally if you send a collaborative document to multiple people, you’ll be returned a separate version of that document from each recipient, from which you’ll have to compile feedback into a master doc. But because Google Drive’s productivity apps—Docs, Sheets, and Slides—make each collaborator’s comments and changes visible in real time to everyone that file is shared with, there’s no need to pass several versions of the same document, spreadsheet, or presentation back and forth. Lastly, inserting a Google Drive file gives you greater control over who sees it. When you attach a local file to an email, there’s nothing to prevent a recipient from forwarding it on to unauthorized viewers. But because Drive’s sharing feature lets you designate who can access a file—and change those sharing settings at any time—you’ll have more peace of mind when emailing sensitive material. To insert a file from Google Drive, click the Drive icon at the bottom of your Gmail message and select the file from your Drive account. You can insert it as a link to the original file or as an attachment. Emailing attachments is fine when you need to send just one or two standalone files. But if you need to distribute many files to the same group of people, it’s better to compile all the files into a folder and then share it. When you need to send many files, you can add them to a folder and share it. To do this, open the folder containing all the files and click the share icon (it looks like a person with plus sign next to it) in the upper right. Enter the email addresses for each person you want to share the folder with and select the type of access for them—for folders you can give them either viewing or editing privileges. Type any instructions in the message field and hit send. Each recipient will be notified that you’ve share a folder with them. Once you’ve shared a folder, any files you add to it will be shared with the same access rights. One of the perks of data collection apps like Evernote and Microsoft’s OneNote is the ability to easily capture content from the web and save it online. 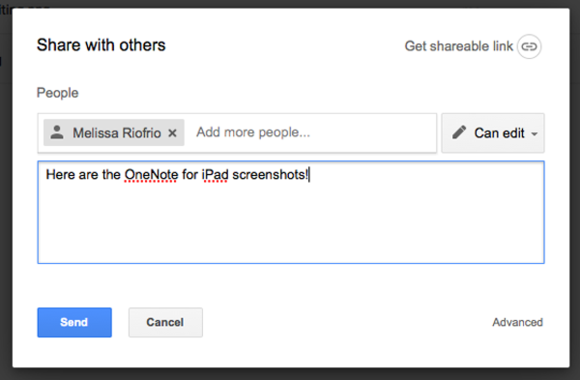 You can do much the same in Google Drive with the help of the Save to Google Drive extension for the Chrome browser. Install the Save to Google Drive extension to capture web content. Once you’ve installed the extension, click the Drive icon in the Chrome toolbar to save the currently viewed webpage. You can save it as a screenshot (the whole page or just the visible portion), a web archive, or HTML by configuring the extension options. 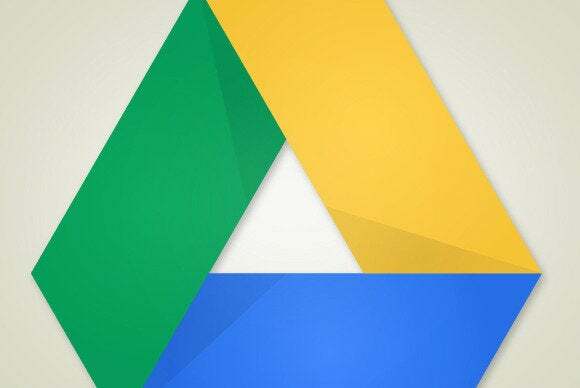 You can also save any documents, images, links, or HTML5 audio and video by right clicking on the object and selecting Save to Google Drive from the drop-down menu. 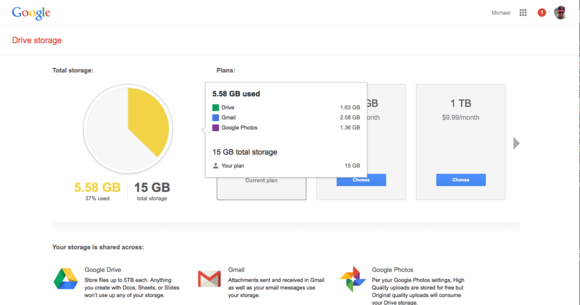 If you find yourself bumping up against Google Drive’s 15GB storage limit, you can always check which of Google’s services—Drive, Gmail, and Google Photos—are eating up the most space by hovering over the usage data in the lower left corner of your Drive page. Clicking on it will show you the same data in a pie chart. When you need to audit your storage, Drive lets you know which of Google’s services is consuming the most space. From there, you can either start pruning files or upgrade to a paid plan. Currently, Google offers 100GB for $2/month, 1TB for $10/month, 10TB for $100/month, 20TB for $200/month, and 30TB for $300/month.